Image of the Day: Is the Milky Way’s Red Giant Betelgeuse the Next Nearby Supernova? While there is, on average, only one supernova per galaxy per century, there is something on the order of 100 billion galaxies in the observable Universe. Taking 10 billion years for the age of the Universe (it's actually 13.7 billion, but stars didn't form for the first few hundred million), Dr. Richard Mushotzky of the NASA Goddard Space Flight Center, derived a figure of 1 billion supernovae per year, or 30 supernovae per second in the observable Universe! Could the Milky Way's red giant star, Betelgeuse be the next? 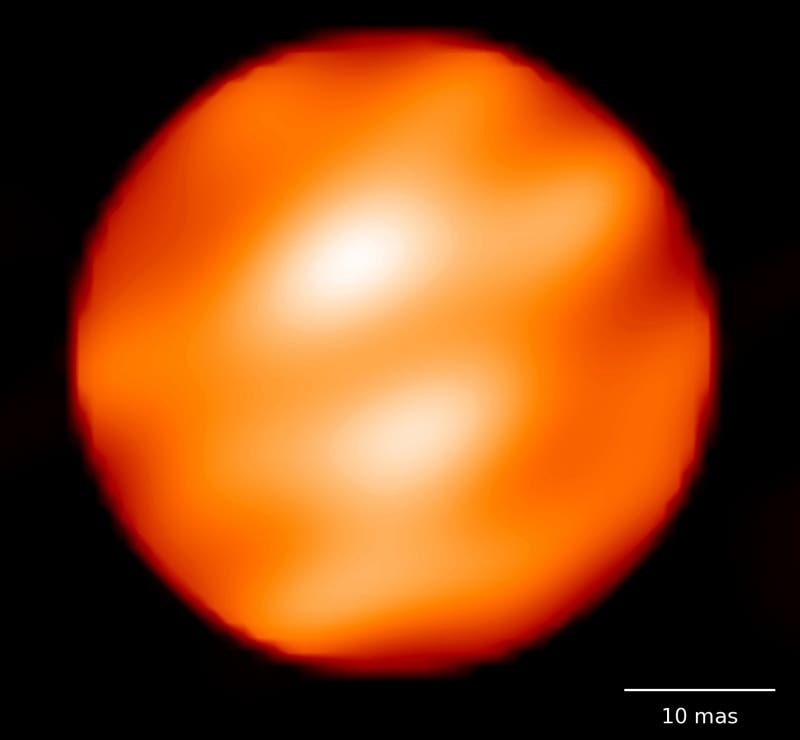 Betelgeuse, one of the brightest stars in the sky, could burst into its supernova phase and become as bright as a full moon — and last for as long as a year. The massive star, visible in the winter sky over most of the world as a bright, reddish star, could explode as a supernova anytime within the next 100,000 years. According to the scientists the supernova would result in gamma radiation with an energy equivalent to 1,000 solar flares simultaneously — enough to threaten Earth by production of nitrous oxides that would damage and perhaps destroy the ozone layer. The supernova would be as bright as all the other stars in the Milky Way put together. One of the astronomers, Dr. Edward Sion, from Villanova University, said the supernova could occur "soon" on the timescales familiar to astronomers and geologists, but this is a long time in the future, in human terms.